Dead Star is a really good attempt at creating a top down shooter similar to Alienation and the Diablo series, but set in an outer space environment. The ship classes you can access really make the game special, being able to pilot different types of ships with different mobility and factors that go into how it maneuvers was really interesting. Most games like this feel very stale. But this game actually put thought into how each ship should handle itself and the way it would affect your gameplay experience. The graphics in this game are pretty smooth, the top down shooter has really great depth of field. Distinguishing between the flat background which still shows depth and the moving objects which are actively moving on a different plain; makes for some interesting visuals. Overall the graphics used to create the environment and everything contained within were no easy task and the game looks amazing for what it is. The audio in this game is fine, but definitely nothing to be wowed over. Its very basic, in that it doesn’t really capture your interest enough to help immerse you into what is actively going on during the gameplay. With that being said, Dead Star developers missed a mark, to actively get a players interest and attachment to their game. Sound is so important, that it can not be ignored and should play a greater or equal role before graphics and gameplay. This game took some chances and in big ways; this is not your average space shooter. Dead Star incorporates the top shooting aspect as well as unit ability upgrades. These two combine can make for a seriously fun time, but what they failed to do; is capture their audience with all senses. The audio is so nonchalant and basic, that it doesn’t do anything to help capture your attention; your seriously better off playing the game with just sound effects turned on. 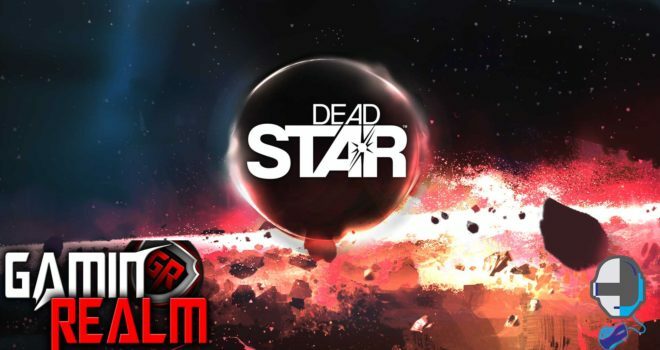 With sound being the major blunder, Dead Star remains a fun game to play and to pass the time.